Hospice provides support and care for persons with a life-limiting illness so that they may live life as fully and comfortably as possible. Hospice recognizes dying as a part of the normal process of living and focuses on maintaining the quality of remaining life. Hospice affirms life and neither hastens nor postpones death. Guardian Angel Hospice exists in the belief that through the care we provide, patients can remain as comfortable as possible. We will focus on the easing of pain and other symptoms. How do I know if I am eligible for hospice care? Hospice services are available to all individuals facing a terminal illness who reside within Guardian Angel Hospice’s service area. 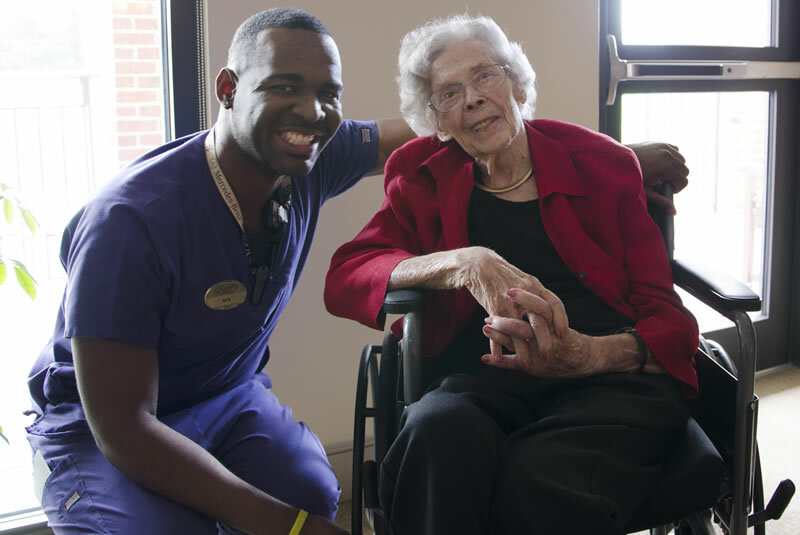 Care can be provided in the home, a home-like setting, or a skilled nursing facility. How do I get more information about hospice care? We at Guardian Angel Hospice believe that all decisions are made less difficult when one has access to as much information as possible. Anyone can seek information about hospice services at any time. Please do not hesitate to contact our office at 504-737-2244 should you have any questions or need any information. We would be happy to talk/meet with you, at your request, to discuss Hospice at any time. Guardian Angel Hospice can mail/deliver, to you, the Medicare Hospice Benefits booklet (issues by the Centers for Medicare & Medicaid Services) to help you understand what hospice is and what services are covered/provided by hospice. What is the cost for hospice care? Cost for hospice care is covered under Medicare, Medicaid, most private insurance companies, HMOs, and other managed care organizations. However, hospice services are not based on a person’s ability to pay. Guardian Angel Hospice, to the maximum extent possible, accepts patients regardless of ability to pay. How long can hospice care last? A Physician and the hospice team review the patient’s condition regularly to assure that the patient continues to meet criteria and that hospice care remains appropriate. The staff at Guardian Angel Hospice will recommend and arrange for necessary equipment (i.e. walker, wheelchair, hospital bed) according to individual needs. The staff at Guardian Angel Hospice will also assist in making care at home as convenient as possible. Guardian Angel Hospice’s staff specializes in pain and symptom management. Hospice nurses will work with the physician to promptly address any pain and symptom management that the patient may encounter. The physical, emotional and spiritual comfort of the patient and family are our primary concern.